The Governor’s Job Fair for those with disabilities will be held in partnership with the Alabama Career Center System, the Alabama Department of Labor, the City of Huntsville, United Ability, the Alabama Department of Rehab Services, the Alabama Department of Mental Health, the Governor’s Office on Disability, and the Alabama Institute for the Deaf and Blind, Governor Kay Ivey announced plans on Thursday to host the second annual Governor’s Job Fair for People with Disabilities. The job fair will be held on Thursday, October 25, 2018 from 10 a.m. to 2 p.m. at the Von Braun Center in Huntsville during National Disability Awareness Month (NDEAM). NDEAM is a national campaign held in October that raises awareness about employment issues for people with disablities and celebrates the many and varied contributions of America’s workers with disabilities. The first Governor’s Job Fair for People with Disabilities was held in Birmingham in October 2017 and drew an attendance of more than 1,100 jobseekers and nearly 100 employers. The job fair is free for both employers and jobseekers and is open to the public. Employers can register online or by calling the Huntsville Career Center at 256-851-0537. Jobseekers and employers are encouraged to pre-register online at: www.labor.alabama.gov/jobfair. Pre-registering will allow for faster entry, and participants are strongly encouraged to print their confirmation and bring it with them to the job fair or to save their confirmation e-mail on their phones. On-site registration will also be offered. The facility is accessible, and buses and vans are welcome. Applicants should come to the job fair with their multiple copies of their résumés, be prepared to interview, and should be dressed professionally. Interview space will be provided. The Alabama Career Center System’s mobile career center along with staff from area career centers will be onsite at the job fair to assist jobseekers in applying for jobs. 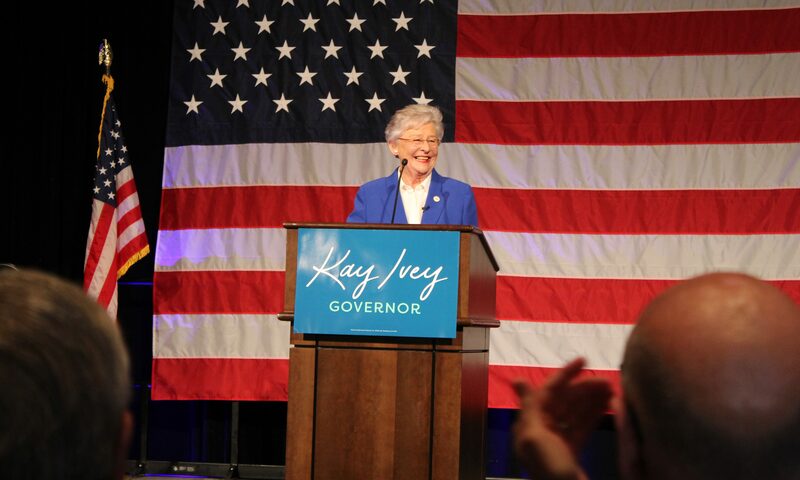 Since being elevated to the Governors office on April 2017, Kay Ivey has focused on growing the number of jobs and bringing more Alabamians into the work force. Alabama now has record low unemployment. Ivey seeks her own term as Governor. She faces Tuscaloosa Mayor Walter “Walt” Maddox (D) in the November 6 general election.